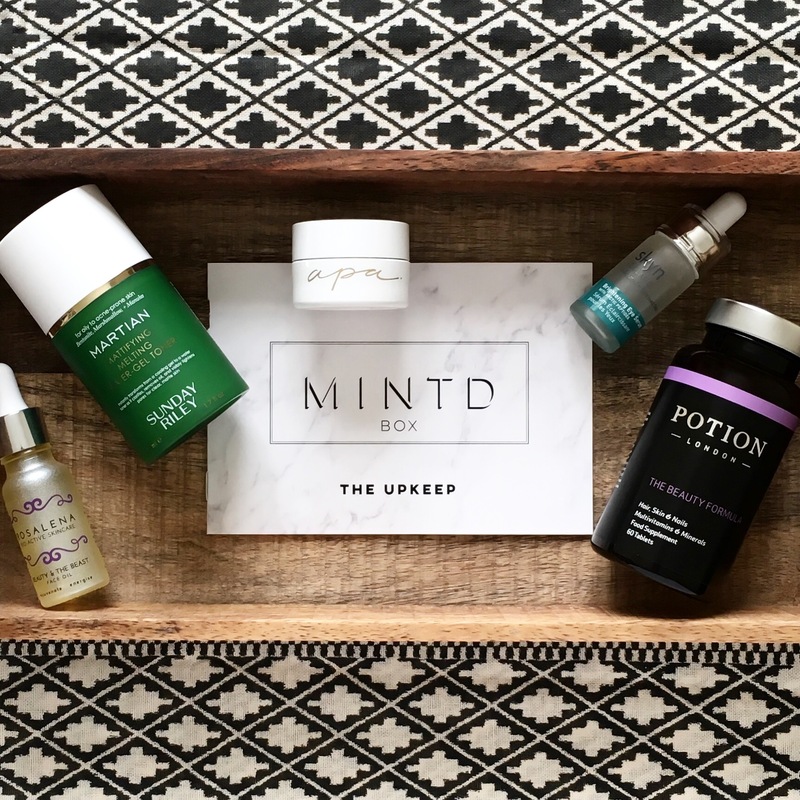 One of the things I missed doing while taking a social media/blog break was reviewing the MINTD boxes, especially after my disappointing experience with the January box (here) but now I am back with April’s curated selection and I am in love. I feel like ever since the new year MINTD have continuously stepped up their monthly picks and each box from February to now has just got better and better. This month’s theme is “The Upkeep” and the products included have been chosen to “perfect and maintain the balance of your skin”, which they have absolutely done for me. Unlike with previous boxes where one or two of the products were not for me, this box was a total winner and I am so excited to tell you all about it. Ingredients: Water, Alcohol Denat., Dicaprylyl Carbonate, Dimethyl Isosorbide, Sorbeth-30 Tetraisostearate, Sorbitan Sesquiisostearate, Ppg-8 Ceteth-20, Acrylates/Beheneth-25 Methacrylate Copolymer, Dipropylene Glycol, Taraktogenos Kurzii Seed Oil, Nigella Sativa (Black Cumin) Seed Oil, Leptospermum Scoparium (Manuka) Branch/Leaf Oil, Potassium Lauroyl Wheat Amino Acids, Palm Glycerides, Capryloyl Glycine, Magnolia Grandiflora Bark Extract, Lauryl Lactate, Phenoxyethanol, Caprylyl Glycol, Chlorphenesin, Tapioca Starch, Polymethylsilsesquioxane, Bentonite, Tapioca Starch (And) Polymethylsilsequioxane, Lauryl Lactate, Phenoxyethanol, Propanediol, Cucumis Sativus (Cucumber) Fruit Extract, Althaea Officinalis (Marshmallow) Root Extract, Hammamelis Virginiana (Witch Hazel) Leaf Extract, Camellia Sinensis (Green Tea) Leaf Extract, Cymbopogan Schoenanthus (Lemongrass) Oil, Chlorphenesin, Caprylyl Glycol, Triethanolamine, Melia Azadirachta Leaf Extract, Melia Azadirachta Flower Extract, Amino Esters-1, Mimosa Tenuiflora Bark Extract, Coccinia Indica Fruit Extract, Solanum Melongena (Eggplant) Fruit Extract, Aloe Barbadensis Flower Extract, Lawsonia Inermis (Henna) Extract, Ocimum Sanctum Leaf Extract, Curcuma Longa (Turmeric) Root Extract, Corallina Officinalis Extract, Ocimum Basilicum (Basil) Flower/Leaf Extract, Pearl Powder. Sunday Riley are a brand I have had limited yet mixed experiences with. I think I’ve only tried four or maybe five of their products and until I got this, only one has ever worked for me. Their cult best seller Good Genes made me break out like crazy due to my (at the time unknown) lactic acid allergy and I think Ceramic Slip broke me out too (could have just been GG though). I was so surprised by how much I liked this because to be honest, I wasn’t expecting to at all. I have been using it pretty much every day since I got it and I am loving the results. It has worked really well under sunscreen, moisturizers and even makeup and for me, it is much more than just a toner. Part of the reason I wasn’t expecting much from this is because the ingredients list starts off with water, followed by alcohol (generally not something I like on my face) and then a mix of seven synthetic forms of emollients, carriers, solvents etc and just from that I was prepared to write it off. I’m so glad I didn’t because up next comes a lovely mix of oils and extracts like Chaulmogra Oil (used for over 4,000 years in the treatment of leprosy), Black Cumin (great for clogged pores), Manuka Oil (antibacterial) and Witch Hazel (astringent) that work to prevent and heal blemishes. It also has super skin soothers like Aloe Vera, Marshmallow and Cucumber Extract as well as Bentonite to mattify and absorb excess sebum. While this is called a toner, it is more like an essence or serum and can really function as all three. Some days I simply cleansed, applied this and followed with a moisturizer or sunscreen and my skin was perfectly fine. For those with oily/combination/acne prone skin, this would function really well as an all-in-one to treat blemishes, while still providing enough hydration that the skin stays balanced. I think this would be amazing in the summer under sunscreen to prevent clogged pores and greasy skin, or even work well as a makeup base for those who don’t like primers. My favourite way to use it is with their Tidal moisturizer, another product that seems like it wouldn’t work for me on paper, but in reality, I really love it. This should be used in your toner/essence/serum step and can be used day or night, although I prefer it during the day. It is incredibly lightweight and does in fact turn from a cooling gel to a more watery formula as the name suggests, and absorbs really well and doesn’t feel tacky or sticky at all. 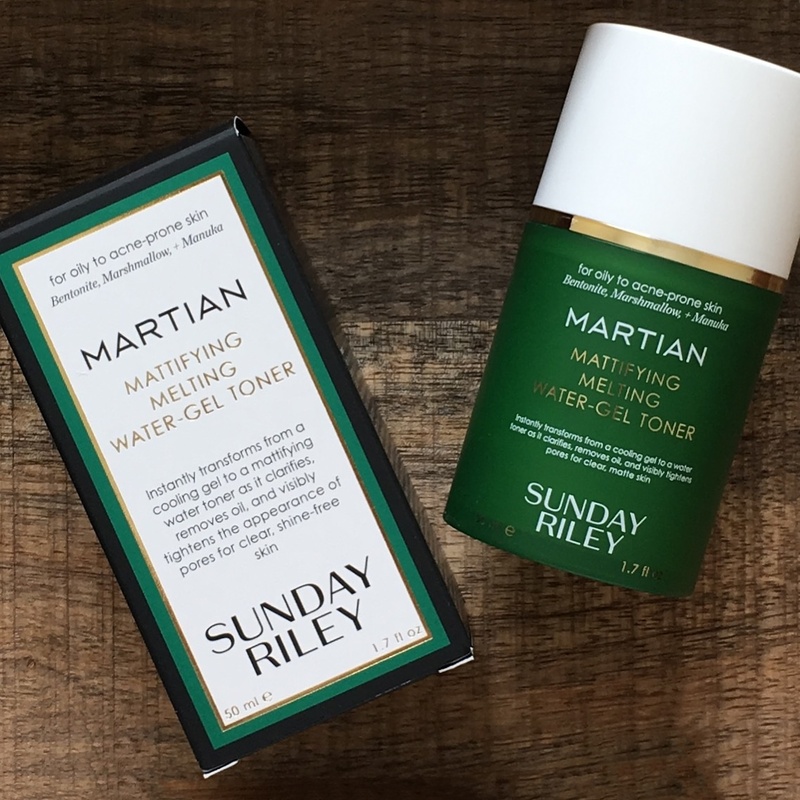 It has a light green colour (which seems to be natural but I’m not sure) that disappears as you massage it in and the scent, like most Sunday Riley products I’ve heard, is an interesting one. At first it smells fresh and mostly like cucumbers but then there’s differently something else, which isn’t exactly pleasant but is not bad enough to be a dealbreaker for me, but just be warned! I only need less than a full pump to cover my whole face, but you can adjust how much you use depending on what your own skin needs. Sunday Riley seem to be influx at the moment with no functioning website, seemingly very popular products being discontinued and mixed reception to their latest colour-coded lineup. Some say the brand focus too much on marketing and gimmicky names and colour themes (first blue, then green and now orange), but despite that I love this product and it’s actually inspired me to try more from them. Along with Martian they have an Ultra-Clarifying Face Oil (U.F.O) described as an exfoliating oil because it contains salicylic acid and even though it’s got mixed reviews, I might just have to try it now. Ingredients: Camellia Kissi Seed Oil, Prunus Armeniaca (Apricot) Kernel Oil, Citrullus Lanatus (Watermelon) Seed Oil, Borago Officinalis (Borage) Seed Oil, Vitis Vinifera (Grape) Seed Oil, Tocopherol (Natural Vitamin E), Bisabolol, Rosa Canina (Rosehip C02) Seed Oil**, Rosmarinus Officinales**, Ubiquinone (CoEnzyme 10), Tocopherol Acetate, Cupressus Sempervirens (Cypress) Oil**, Santalum Album (Sandalwood Mysore) Oil**, Citrus Aurantium (Neroli) Flower Oil**, Citrus Aurantium Dulcis (Sweet Orange) Peel Oil**, Eriocephalus Punctulatus (Cape Chamomile) Oil**, Farnesol*, Geraniol*, Limonene*, Linalool* *naturally occurring ingredients ** organic. 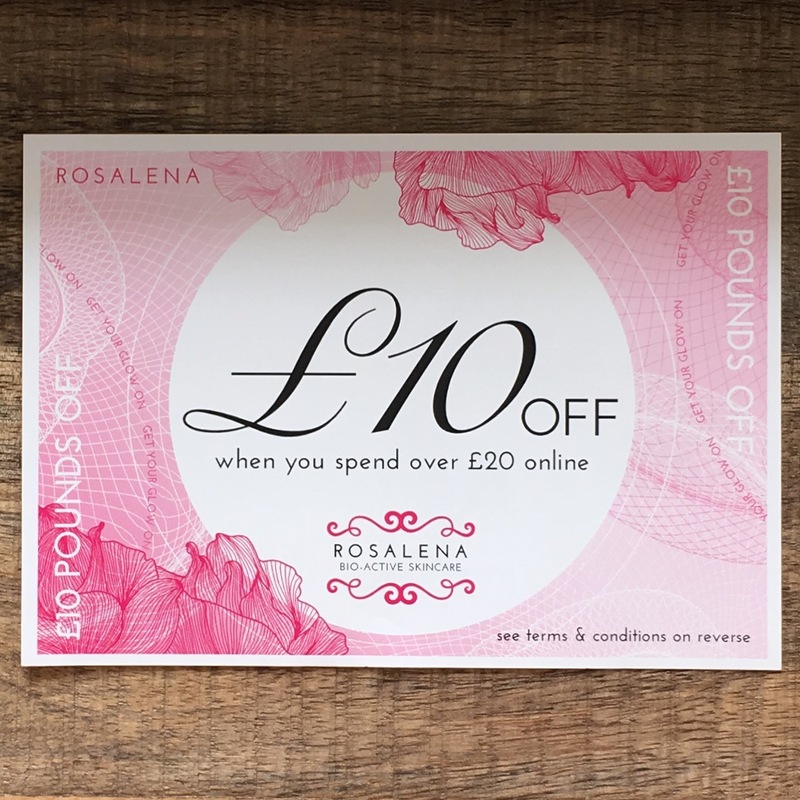 Even though Rosalena have previously appeared in a MINTD box (here), I am so excited to see them featured again because they are a beautiful brand with the loveliest oils. Created by the gorgeous Helena Chapman & Maja Griffith, Rosalena is all about skincare that evokes a sense of wellbeing, mindfulness and peace through the best botanical extractions and a heightened olfactory sensory experience. I now have three out of their four oils and this new one is an antioxidant powerhouse that smells incredible. It contains gorgeous oils like Watermelon Seed (hydrating but not clogging), Grapeseed (antioxidant), Rosehip (Omega 3) CoQ10 (another antioxidant) and Apricot Kernal (good for inflamed/dry skin). The ingredients list is short but sweet and in this case, it’s a good thing because you’re only getting the very best. 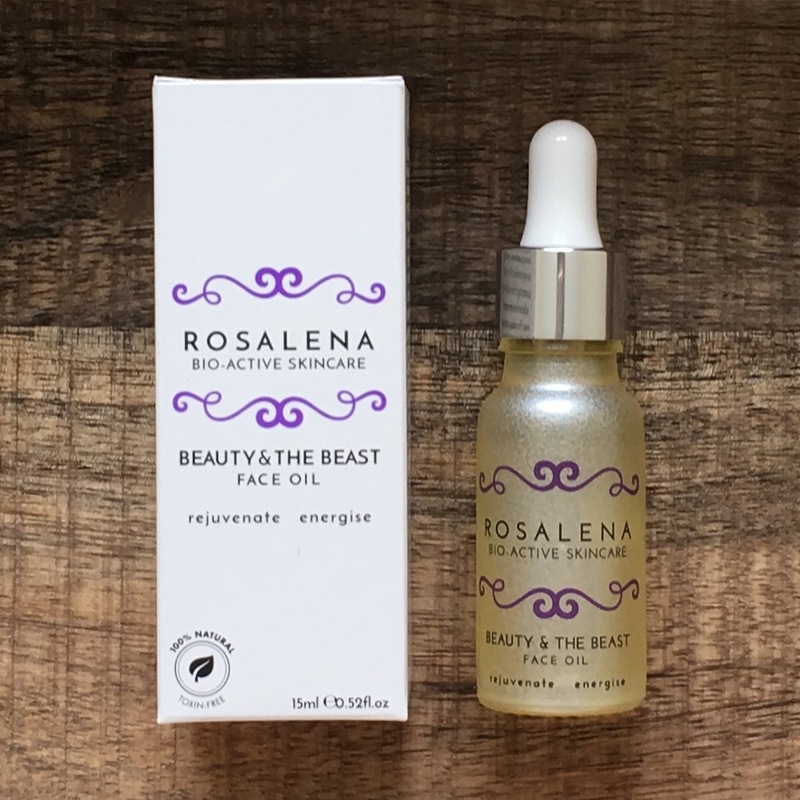 I’ve only used Beauty & The Beast three times as I’ve had the box less than 2 weeks but as with everything I’ve tried from Rosalena it’s an instant favourite. The box also included a £10 off voucher to the brands’ newly and beautifully redesigned site and I highly recommend the face mist, Frank & Sense oil or a mix of samples to really get acquainted with the brand. Ingredients: SIMMONDSIA CHINENSIS (JOJOBA) SEED OIL, SUCROSE, HYDROGENATED POLYISOBUTENE, BEESWAX, BUTYROSPERMUM PARKII (SHEA) BUTTER, THEOBROMA (CACAO) SEED BUTTER, OLEA EUROPEA (OLIVE) FRUIT OIL, SILICA, SQUALANE, PRUNUS AMYGDALUS DULCIS (SWEET ALMOND) SEED MEAL, GLYCINE SOJA (SOYBEAN) OIL, JUGLANS REGIA (WALNUT) SHELL POWDER, CITRUS AURANTIUM DULCIS (ORANGE) PEEL OIL, TOCOPHERYL ACETATE, PHENOXYETHANOL, FLAVOR. One of the things I love about beauty boxes is being introduced to new brands and Apa is a discovery I am so happy to have made. This Lip Loofah smells so yummy – sweet but not sickly and leaves my lips smooth and conditioned without being too abrasive. It uses a mix of sugar, walnut shell powder, jojoba, olive and almond oil, shea and cocoa butter plus beeswax to gently exfoliate and then moisturize dry, flaky lips without them feeling overly “coated” once removed. I’ve used this twice now and the first time I opened the pot I couldn’t stop smelling it – that’s how good the scent is. 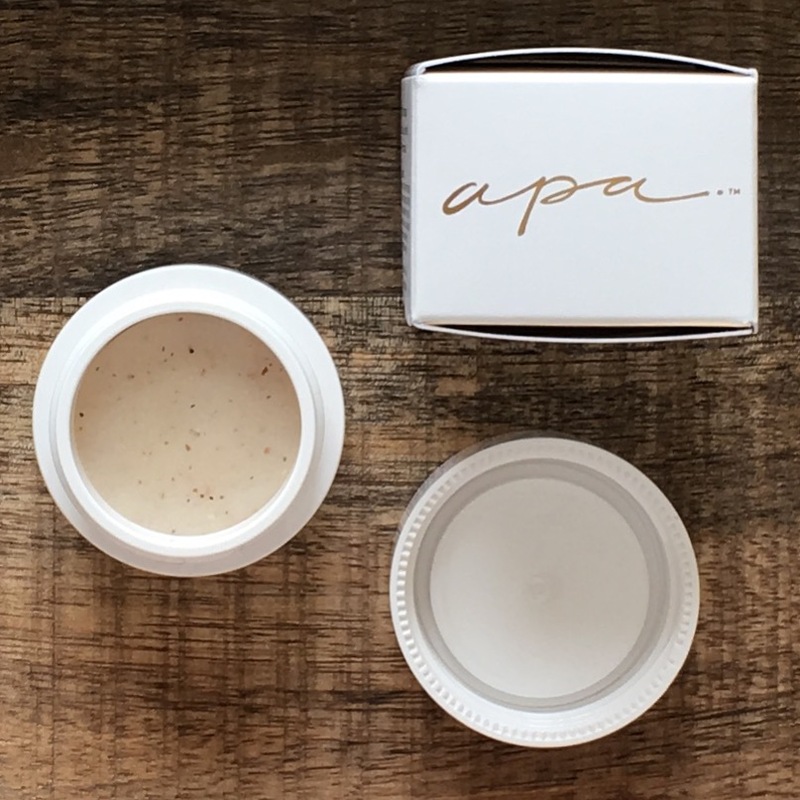 Apa was founded by renowned cosmetic dentist Dr. Michael Apa and despite how lovely the lip scrub is, the other products in the range are so interesting. Apa is all about simple yet effective oral care products that combine the latest research with results-driven ingredients, all packaged in the style of a luxury beauty brand. The have their own stunning sonic toothbrush, toothpaste, mouthwash and gum gel that all sound amazing and look good enough to be proudly displayed alongside the chicest skincare lineup. Their runway adapted Tooth Gloss sounds so cool and shows how far beyond the “norm” this brand is and I want it all. Ingredients: WATER, GLYCERIN, DUNALIELLA SALINA EXTRACT, CENTELLA ASIATICA EXTRACT, PALMITOYL TRIPEPTIDE-38, CHAMOMILLA RECUTITA (MATRICARIA) FLOWER EXTRACT, PALMITOYL HEXAPEPTIDE-52, BUDDLEJA DAVIDII EXTRACT, CUCUMIS SATIVUS (CUCUMBER) EXTRACT, THYMUS VULGARIS (THYME) FLOWER/LEAF EXTRACT, PALMITOYL TRIPEPTIDE-5, OXYCOCCUS PALUSTRIS (ARCTIC CRANBERRY) SEED OIL, RUBUS CHAMAEMORUS (ARCTIC CLOUDBERRY) SEED OIL, PALMITOYL HEPTAPEPTIDE-18, ANGELICA ARCHANGELICA ROOT WATER*, ACETYL CITRULL AMIDO ARGININE, SIMMONDSIA CHINENSIS (JOJOBA) SEED OIL, PHENETHYL ALCOHOL, SODIUM GLUCONATE, PANTHENOL, SODIUM HYALURONATE, CARBOMER, ETHYLHEXYLGLYCERIN, SODIUM HYDROXIDE, HYDROXYPROPYL CYCLODEXTRIN, PERFLUORODECALIN, XANTHAN GUM, SUCROSE PALMITATE, GLYCOSPHINGOLIPIDS, GLYCOLIC ACID, LACTIC ACID, POLYVINYL ALCOHOL, POTASSIUM SORBATE, SODIUM BENZOATE *Component of Icelandic Glacial Water. Skyn Iceland is a brand I have used on and off for many, many years. Back in the day they used to be sold in Sephora and I was obsessed with the ANTIDOTE Cooling Daily Lotion, the now discontinued Arctic Face Mist and the original Anti-Blemish Gel. They sort of disappeared there for awhile and as my skin changed and I no longer had easy access to the products I moved on to other brands, so I was really happy to see them in the box with a new launch. 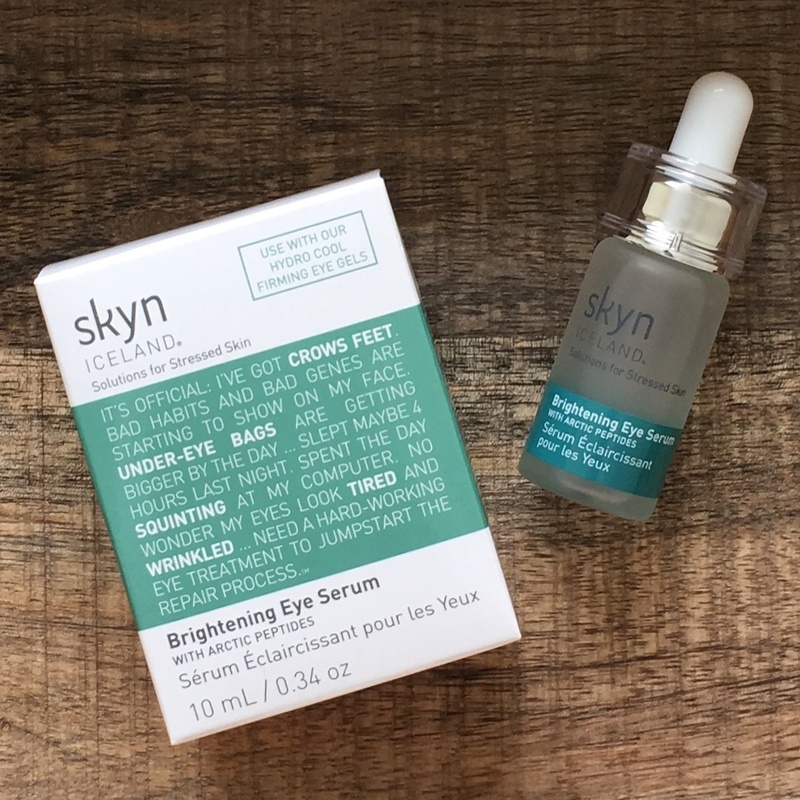 Over the past few years Skyn Iceland have changed and expanded and this Brightening Eye Serum is one of their newest products. It’s a cooling watery-gel serum that contains more than 20 peptides, as well as antioxidants and algae extracts designed to de-puff smooth, firm and brighten. It is incredibly lightweight, absorbs beautifully and has a delicate soft scent that for an eye serum, I actually love. Obviously with eye products it takes quite a long time to see results, so all I can tell you right now is that I am really enjoying using it and there has been no irritation. I feel like this brand flies under the radar, so if you’ve never heard of them I would definitely recommend you check them out (here). I’ve been using their products since college and always seem to come back to the brand some way or another and so far, that’s been a good thing for me. Ingredients: Calcium Carbonate (with Maltodextrin), Magnesium Oxide, Microcrystalline Cellulose, Vitamin C 97% (Ascorbic Acid, Hydroxypropylmethyl Cellulose), Calcium Pantothenate, Ferrous Fumarate, Vitamin E 50% (DL Alpha Tocopherol Acetate, Silicon Dioxide), Nicotinamide, Zinc Oxide, L-Cysteine Hydrochloride, Pyridoxine Hydrochloride, Magnesium Stearate, Thiamine Mononitrate, Silicon Dioxide, Hydroxypropylmethyl Cellulose (with Glycerin), Riboflavin, Cupric Sulphate Anhydrous, Vitamin D3 Prep (Sucrose, Corn Starch, Gum Arabic, Medium Chain Triglycerides, Tri-Calcium Phosphate, Cholecalciferol, DL-Alpha Tocopherol), Manganese Sulphate Monohydrate, Folic Acid, Potassium Iodide, Chromium Chloride, Sodium Selenite, D-Biotin, Cyanocobalamin. No artificial colours, flavours or preservatives. No added salt or sweeteners. No gluten, no crustaceans, no fish, no egg, no peanuts, no soya, no milk, no nuts, no celery, no mustard, no sesame seeds, no sulphites. Suitable for vegetarians. 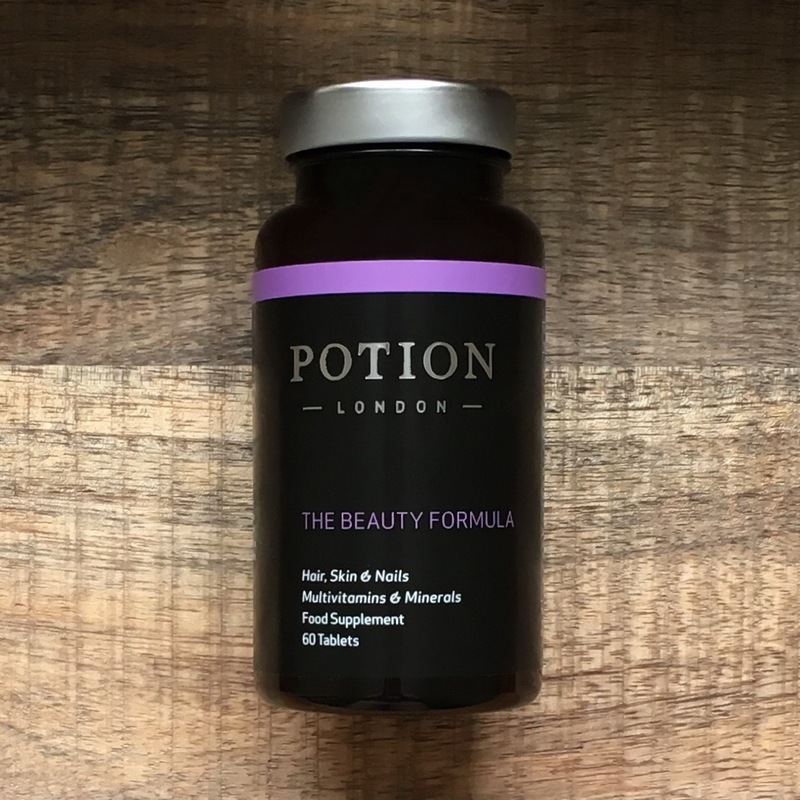 I have always believed that true skin health starts from the inside out and supplements have been a huge part of my beauty routine for many years now, so I was very happy to see Potion London in this month’s box. They are fairly new to the market and focus on making supplements easy to choose, understand and incorporate into your daily life. They currently have 6 different supplements and of course we got the The Beauty Formula which includes ingredients like Vitamin D, B3 (Niacin), Folic Acid, Biotin and Zinc to promote healthy hair, skin and nails. I haven’t started taking these yet because I currently have quite the extensive supplement routine on the go (on the blog soon) and one of them contains pretty much all the same ingredients, but once that’s finished I will start on these. 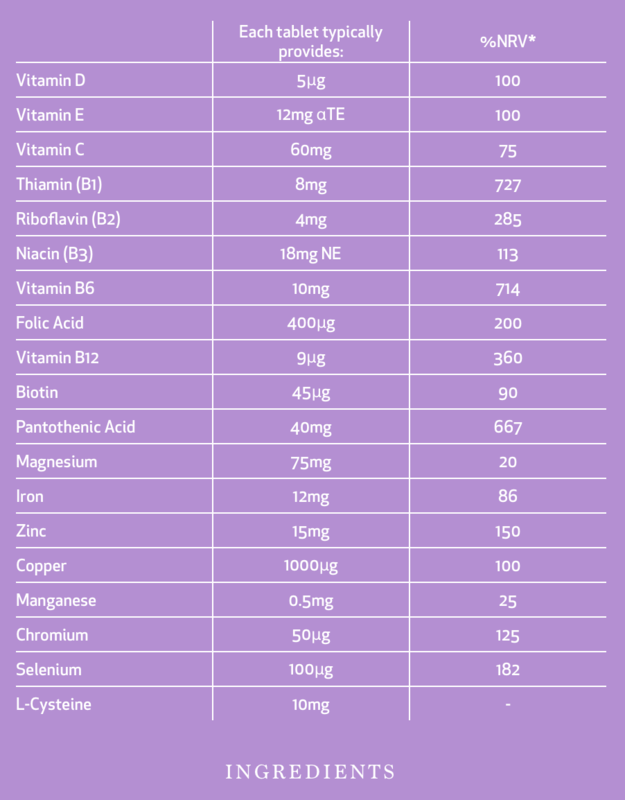 You only need to take them once a day and if you don’t really have a healthy/varied diet or if you can’t seem to get your skin in check, then I would really recommend looking into supplements. They have helped me so much over the years and I always see and feel a difference when I take them regularly. Potion have a great mix of supplements like a probiotic, super greens, bone formula, hyaluronic acid and collagen booster to go along with the one I have, so it seems like there is something for everyone. It’s actually pretty hard to find affordable, good quality supplements and I love that these have no artificial colours, flavours or preservatives, are gluten, nut and soy free and are vegan. I can’t wait to start taking these and once I do I will keep you posted. As always, this month’s box is incredible value for money being worth £141 and only costs £65, saving you almost 50%. If you’re new to MINTD or the blog you can check out my past reviews here or subscribe here. You can choose to sign up for a monthly or bi-monthly service and they ship worldwide. If the past few boxes are anything to go on I think this could be a big year for MINTD and I can’t wait!